blog home Military Defense What Happens When Appealing a Court Martial Conviction? What Happens When Appealing a Court Martial Conviction? Unlike civil courts, when a member of the military faces a criminal conviction, he or she is not allowed to appeal the final verdict in the hope of reaching a new decision about the accused member’s guilt or innocence. Appealing a court martial conviction will only send the case to another judge or higher court within the military judicial system to re-evaluate the case for legal errors and to possibly determine a lesser sentence. 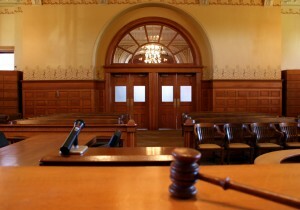 A mistake or wrongdoing that resulted in the dismissal of the jury. The military judge made an error or mistake. The final sentence is not appropriate for the crime. The accused is subjected to an unreasonable multiplication of charges. There was not enough evidence to warrant a conviction. Appealing a court martial conviction can be a complex process that differs based on the military branch, the type of court martial, and the criminal charge. Hiring a skilled military trial lawyer is highly encouraged in order to help ensure that the case is properly defended and carried out. Cases held by the special or general court-martial will automatically be reviewed by the convening authority (CA), or the person who initially filed the charge. The CA may decide to approve or throw out the sentence, suspend all or part of the sentence, or even reduce the sentence. It is important to note that the CA cannot increase the initial verdict. It is possible to appeal the CA’s final decision with the Court of Criminal Appeals; however, unless the case involves the death penalty, the appeals court does not have to take the appeal. Military members convicted by a summary court martial or facing lesser sentences must follow the varying rules and procedures depending on each branch of service. In many cases, a judge advocate will review whether a conviction and sentence are proper. If the judge does not agree with the CA, the case may then go to a general court martial CA to determine if the case is closed or should move to the services Court of Criminal Appeals. If you are facing any form of charges in Military Court, you need experienced and persistent legal representation to protect your rights. At The Law Firm of Joseph H. Low IV, a San Diego military defense attorney can provide you with the guidance you need and deserve for your devotion to the wellbeing of the country. To learn more, contact us at (888) 454-5569.